Hi everyone hope your all having a lovely week! Since it’s almost the weekend and it’s also approaching that time of year when we all book our summer holidays, I thought I might share with you all about my trip to Zakynthos, Greece. 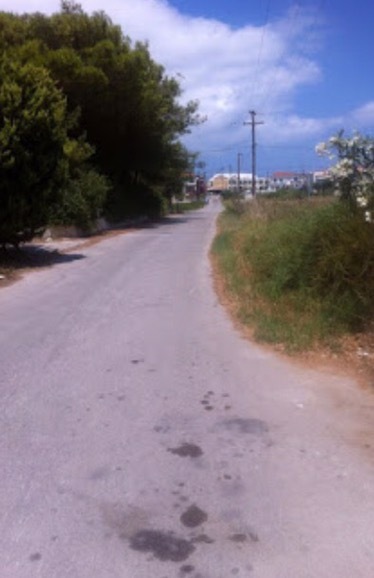 In July 2014 myself and 2 friends set off for a weeks holiday to the beautiful island Zakynthos in Greece. There was a 2 hour time difference in Greece so they were 2 hours ahead of Irish time. We arrived late on a Tuesday evening around 8pm Greece time which wasn’t to bad. We were staying in a town called Kalamki. Which turned out to be only 5 minutes away from the airport, which is great for anyone who doesn’t like sitting on buses for hours traveling to accommodation. When we landed in Zante there was a coach there waiting to pick us up. 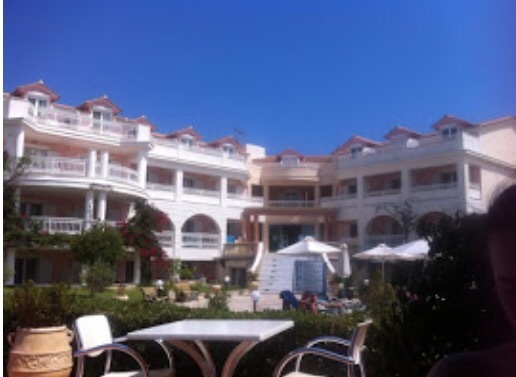 We had booked the holiday in a package through a travel agency as it was our first time travelling away from home by ourselves so just so everything was secure for us we got a package deal which included flights, accommodation and transfers. When we got to the hotel which as I mentioned was only about 5 mins from the airport, we were welcomed by very friendly reception staff. They showed us to our room and we settled in just fine. We stayed in appartments called the Ionian Blue and they were just beautiful. It was a very small complex with a small pool but was just a few minutes walk to the beach and the strip. 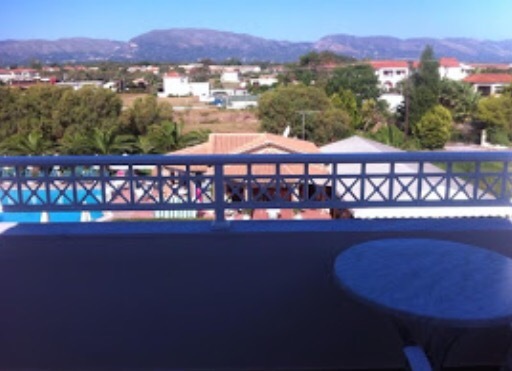 As Zante is a small island and would only take about an hour or so to travel from top to bottom it also has gorgeous mountainous areas surrounding it. As we looked out on our balcony we could see the mountains as well as airplanes as was close to the airport where we stayed. Throughout our stay we relaxed by the pool, took many trips to the beach and the town, and ate in many different restraunts. As we booked a package deal we also had a rep at our hotel who was extremely helpful. He recommended to do some of the tours while we were there. 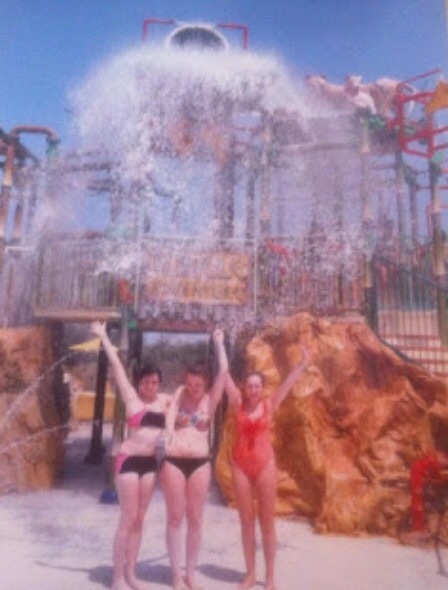 One of the days we booked with our rep a trip to the waterpark on the island. We had a bus pick us up at 10am and bring us to the waterpark it was about a 25 min drive to the waterpark which really wasn’t bad as it felt like less. 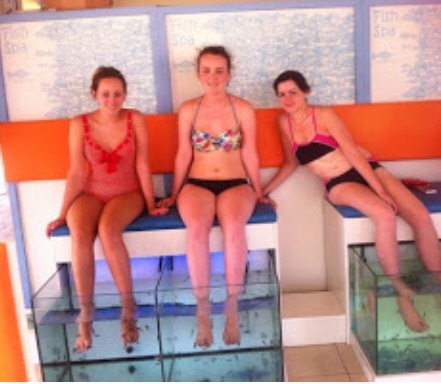 We spent the day at the waterpark, enjoyed some lunch in the restraunt in the park and also got a fish pedicure. It was a really great day from start to finish. The bus picked us up at about 4 to bring us back to the appartments. There was loads of water slides and suited all ages. As our rep had recommended to do some tours we decided to do the turtle spotting tour out to turtle island for the day. The bus picked us up at 9am and we were brought down to a town called Agassi where we got on a boat for the day. 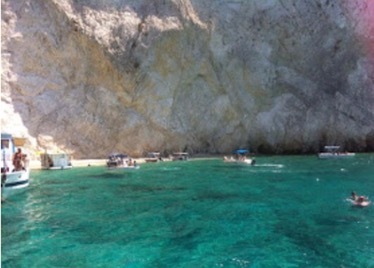 We set off on the boat at around 10am and went out around the beautiful turquoise oceans of Zakynthos. 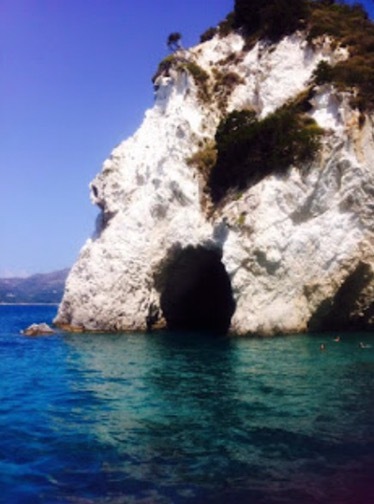 We seen the stunning coves and caves on the island as we were on the boat. 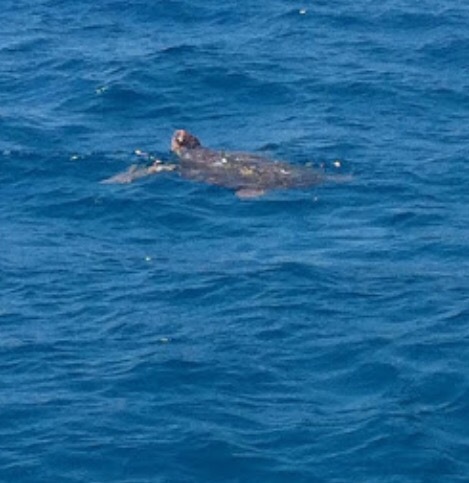 We stopped at a certain point in the sea and stayed really quite to see if we could see any turtles. We were successful and got to see some which was really a great sighting. 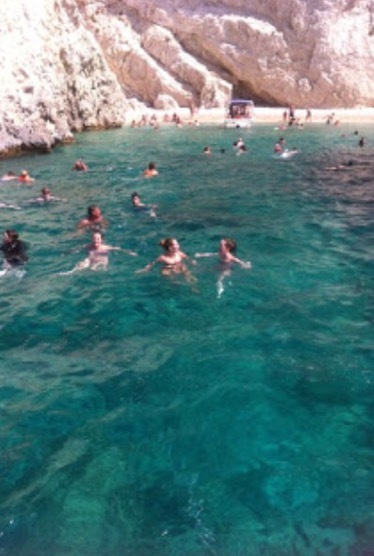 After that we set off again and got to stop of at a cove which has crystal clear waters and beautiful sand. 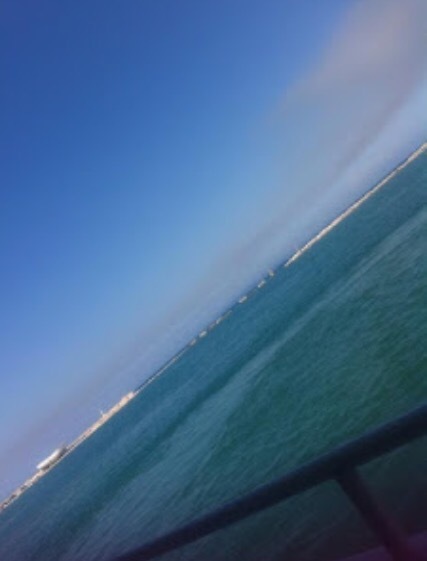 We got to jump off the boat and stay at the sand or swim for about 20 mins. After we set off again taking pictures off all the coves and the gorgeous scenes of the island. Before we headed back to the port we could get back into the sea if we wished. The tour lasted about 6 hours and in my opinion was a bit too long. We got back to the appartments at about 4:30 that evening. It was really a great trip though. The week went by so quickly and I would have loved to have stayed longer. As we went in the middle of July the heat was unreal. Everyday reached about 34 degrees Celsius. 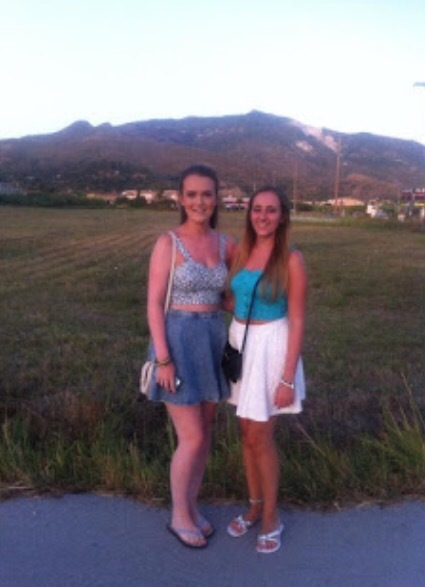 While we were the night life in Zante seemed to be great. We spent most our time in Kalamki but headed into laganas a few times which is know for partying. It was €7 in a taxi from Kalamki to laganas as taxis in Greece have set prices so there in a sign at the taxi rank stating the price to each town. Which is so handy. Laganas certainly is the party place of the island from morning to night with some nightclubs staying open until 9am !!!! 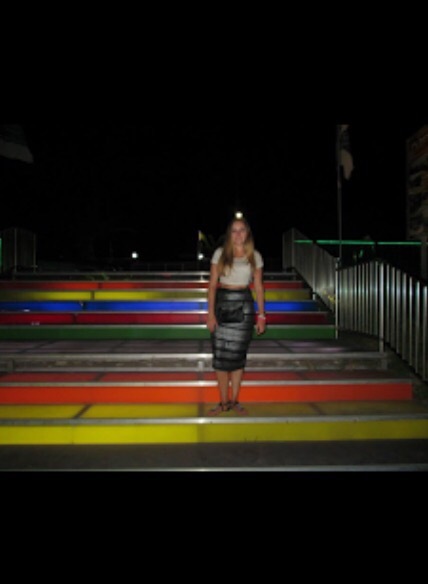 We had a great night in laganas and went into as many bars and clubs as we could. 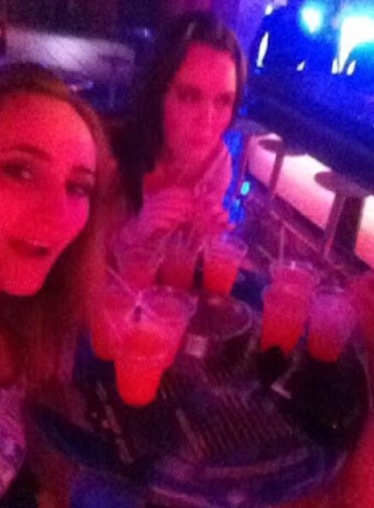 Food and drink in Zante is really reasonable with some restraunts giving a free drink with each meak. Most main courses ranged about €8/€9 in each restraunt which I thought was brilliant. I really enjoyed my time on the island and I would definitely recommend Zakynthos to anyone. There is just some much to do during the day and such a great nightlife. 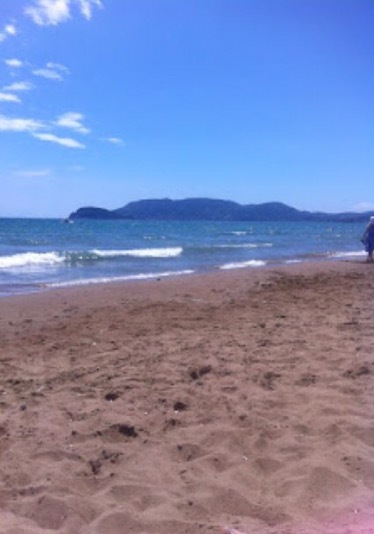 It really was a brilliant holiday and I certainly will be returning in the future!! If any of you guys have gone or are thinking of going let me know i would love to hear! I love the atmosphere felt in the photos of a lovely hotel, beautiful scenery, and yet that small-town, unobtrusive location to relax in.